Image | This entry was posted in Nature/Outdoors and tagged boats, British Columbia, Fraser River, M.V. 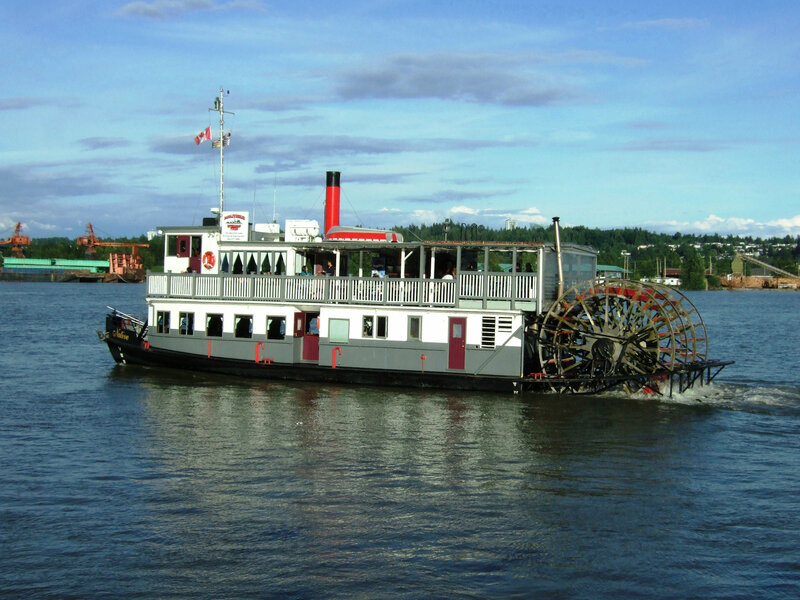 Native, New Westminster, Paddlewheeler Riverboat Tours, water. Bookmark the permalink. Hmmm, nice photo Leslie – I’ll have to check that out one day. Thanks, Ted and Ken. I’ve been meaning to try this river cruise but haven’t yet.